After his breakthrough season in 1975, Gilles Villeneuve was invited to rejoin Kris Harrison's Ecurie Canada for 1976 where he would have a pair of March 76Bs in the colours of his faithful sponsor Skiroule Snowmobiles and an experienced ex-March race engineer in Ray Wardell. 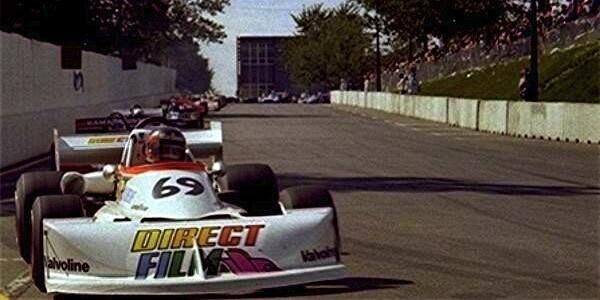 Villeneuve was completely dominant but there was drama mid-season when Skiroule went bankrupt but Harrison was able to find replacement finance from Gaston Parent and from Direct Film to complete the season. In the shadow of the unstoppable Canadian, some new stars were forming. Bobby Rahal, Marty Loft and Price Cobb both won races in Doug Shierson Racing March 76Bs and Tom Klausler maintained some sort of a profile by winning at Mid-Ohio in his Lola T460. No Chevron won a race but the massed B34s of Bill Brack, Fred Opert Racing and Bill Scott Racing were well represented in podium finishes. The Lola T460 was a disappointment, only Klausler - who had bought Lola back into North American F/Atlantic in 1974 - managing any success. The revitalised Tui team managed five podium finishes and Ralt secured one. In an effort to expand Formula Atlantic back into the US, where the original Formula B had started life, CASC liaised with IMSA to create a separate six-race series south of the border. The SCCA, the more obvious partner, remained stubbornly disinterested in Formula Atlantic. The calendars were co-ordinated to make sure there were no clashes which was helpful for Gilles Villeneuve, who dominated the IMSA series as thoroughly as he did the CASC series.